If you are looking for how to make bootable pendrive? Or Having trouble while making your USB pendrive bootable. I have the easiest way to make your pen drive bootable in just some couple of minutes. You can use the pen drive in installing Windows on your Computer. Every day many people try to make bootable pen drive but not get success. You have commonly listened to make your pen drive bootable by using your command prompt. But actually, it is tough to make your pen drive bootable using command prompt especially when you’re a beginner. Every user is not handy with the use of command prompt because it is difficult to know that your command has worked or not. 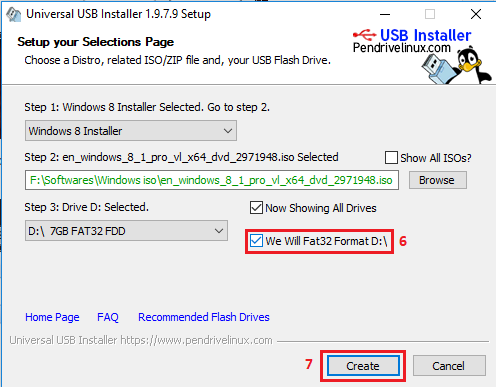 So, today I am going to tell you the easiest ways to how to make bootable USB pendrive. But before going further, you must ensure that you must have Windows iso file and a minimum 4GB storage pen drive. I will show you how to make your pendrive bootable with or without using any booting software. So let’s start with how to make bootable pendrive without using any software or using the command prompt. 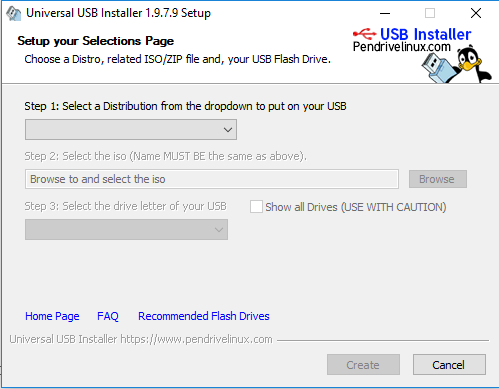 How to make bootable USB pendrive using windows cmd manager without using any downloaded software? 1. Insert a USB pendrive into your system. 2. 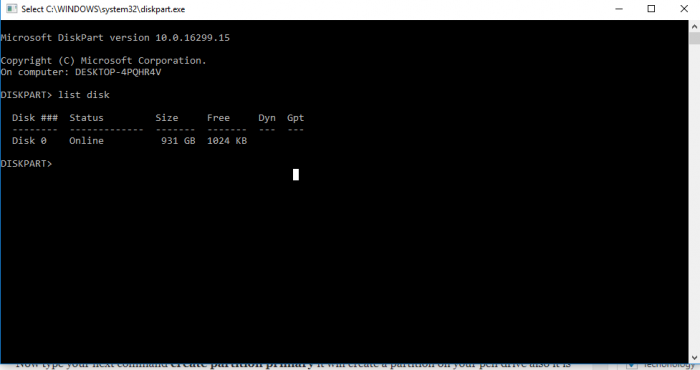 Now open Command Prompt. You must have to open CMD as administrator, just right click on CMD icon and click open as administrator. 3. After opening CMD, write this command over there disk part click enter. 4. Now it will show you some info of your PC. Now you have to write another command there list disk and enter. 5. Now it will show you, your connected drives. Then type your next command select disk @ where @ will be your disk name/number. 6. Now type your next command create partition primary it will create a partition on your pen drive also it is the essential step of the process. 7. It means you can able to select your new partition. Now type next command select partition 1 hit enter. 8. Now you will see the active status now type another command active and hit enter. With this command, it will activate the partition. 9. Now everything is good to format your USB pen drive. Now type another command format fs=32 and hit enter. Now you can able to see the progress in percentage. 10. Type the command assign and hit enter, the type exit for ending disk management program. 11. The last step is that you have to copy all windows ISO files to your USB pen drive. Now you’re all set to install your windows files. 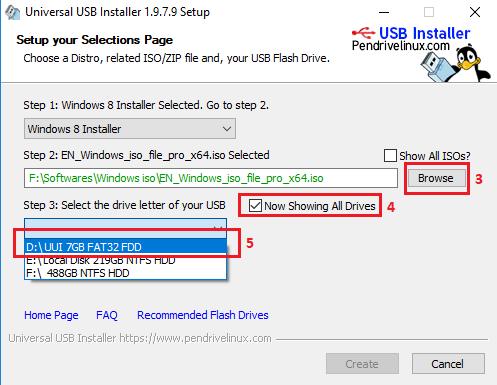 Now I will tell you how to make bootable USB pendrive with using software, and it is the easiest way to make bootable pendrive. 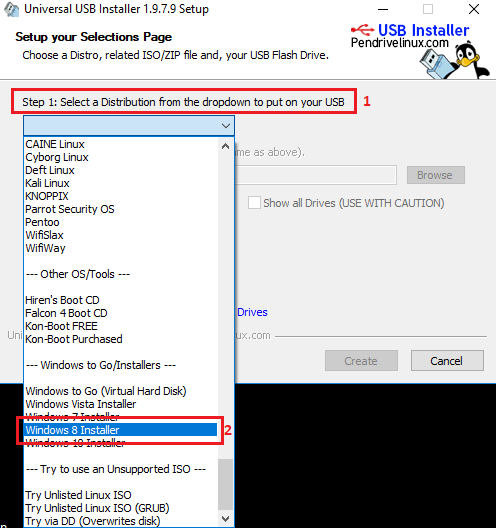 How to make bootable pendrive using Universal USB Installer for any Operating System on Windows XP / 7 / 8 / 8.1 / 10? 1. First of all click on Download and download 1 MB size Universal USB installer tool. 3. Insert your pendrive into your USB port. Now select any Operating System from the list you which you want to make bootable USB Pendrive. 4. Now browse for the iso file of the windows select it. 5. Now choose your pendrive to Select the drive letter of your USB option. 6. Check the box ‘Show All Drives‘ and then Select your USB pendrive. 7. Now check the box ‘FAT32‘ then click on create. 8. Just wait now to get the process complete and your bootable USB pendrive is ready to use. How to make bootable pen drive using Rufus for any Operating System on Windows XP / 7 / 8 / 8.1 / 10? 1. Download Rufus from the official download link. 2. Install the downloaded file using Rufus installer.exe. 3. Once the step is complete, you are ready to use Rufus now. 4. Now insert the USB pendrive into your PC/Laptop. 5. Open the Rufus installer, and select the ISO file from your pc. 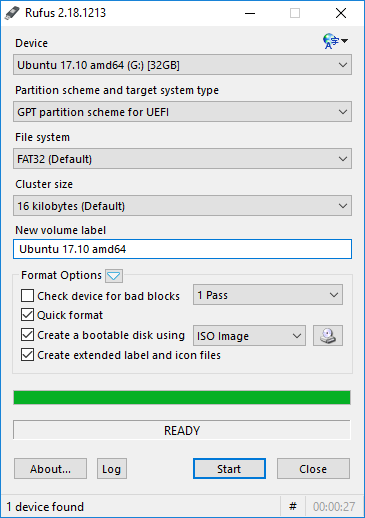 Select partition scheme and target your system type “MBR partition for BIOS or UFI“. Next select file system “NTFS“. 8. This is the final step to make bootable USB using Rufus; you need to hit start it will take few minute to complete the process. After few minutes your pendrive would ready for installing the operating system on any device. Important – After finishing the bootable process restart the pc and select boot priority on USB drive without selecting the boot priority on your system. All in All, from the following methods to create a bootable USB pendrive, I would suggest you to go with Rufus, as its the best and far most, the most easy tool to make a bootable pendrive. So, these are the two basic and most simple methods on how you can make a bootable pendrive without many efforts. So, whether you want to install Windows 7/8/8.1/10 or any other respective Operating System on your PC, do it now! If you’re having any problem in making bootable pendrive, then feel free to ask in the comment box. We’ll be sure to reply to your query as soon as possible. Cheers! Very helpful post. I just made the bootable pendrive using Universal USB Installer.